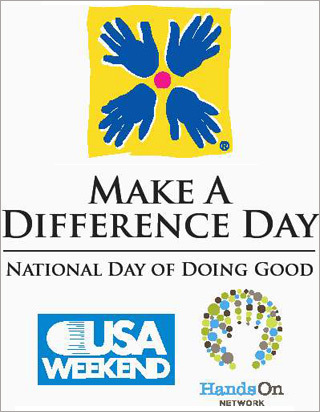 America celebrates the spirit of volunteerism this year on Make a Difference Day, Saturday, Oct. 26. The 23rd annual “national day of doing good” is sponsored by USA WEEKEND Magazine in partnership with Points of Light/HandsOn Network. AEP again is making a difference through a mini-grant program that encourages employees around the System to become involved in community projects in their locales. AEP’s Make a Difference Day grants range up to $300 to help fund local projects that involve at least five AEP active or retired employees in partnership with a school or nonprofit organization. Projects can be as simple as helping a family in need or may be a coordinated effort serving an entire community. To learn more about national Make a Difference Day, including getting started, entering your project online, an idea generator, examples of past projects, and past award winners, visit makeadifferenceday.com. Application deadline for mini-grants is Sept. 26. Complete an online application at AEP.com/MDDgrant.